There are many ways you can get involved from home, whether you’re coming as an individual, a group of friends or as an institution. Maybe you feel like getting creative and organising a sponsored event? Perhaps you feel like its time to clear out those old cupboards and put your hidden treasure items up for sale? If you’d like to share your proceeds with Phunzira we can show you how. We also have events going on if you’d like to come along to show your support, and student sponsorship programmes you can donate to. Would you like to do something a bit more challenging for charity such as a sponsored run, a skydive or cutting off all your hair?! Phunzira organises sponsored events during the year and if you feel like getting creative and organising something yourself we’d love to hear about it. If you’d like to get involved or need any assistance with how to set something up please contact rosa@phunzira.org. If you’re planning to sell some of your old and unwanted items and would like to donate some of the proceeds to Phunzira then its easy to do! Phunzira is now registered with MissionFish who work in partnership with eBay and PayPal to enable sellers to raise funds for a chosen charity. If you’re raising funds through sales which involve cash e.g. a car boot sale, then we would be happy to assist with any related queries. Please contact rosa@phunzira.org. Phunzira organises events during the year to raise awareness and give people the opportunity to come and support us. Please see our Latest page for more information on upcoming and recent events. We also invite anyone with imaginative ideas for future events to get in touch with rosa@phunzira.org. Phunzira is looking for UK schools, primary or secondary, who would like to participate in Phunzira’s “School Links Programme” which encourages communication between students across the globe. If you would like more information please look at our UK School page. We are always grateful for any donations of school equipment to use at the Nyumba Ya Masambiro community centre such as books, science equipment, number/alphabet charts, toys, art materials etc. If you have any questions or would like to get in touch please contact rosa@phunzira.org. Phunzira is working hard to improve health in rural communities, establishing and supporting local and mobile health clinics and empowering people through education. If you are an individual or organisation who thinks they can assist with acquiring donations of medical equipment, supporting us with manpower or is involved in health education please contact philippa@phunzira.org. We have numerous opportunities for people of all ages and from all walks of life. We are always looking for help with educational activities, youth initiatives, business management, healthcare, construction and staff training. We aim to create a healthy and happy environment for people to learn and develop skills for sustainable living. We are interested in passionate and creative individuals not just people with specific skill sets. 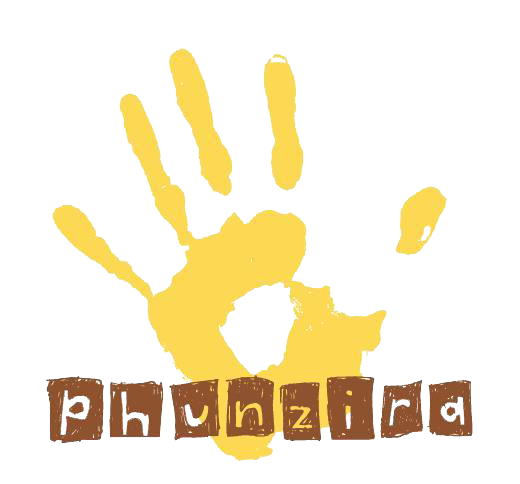 If you are interested in volunteering with Phunzira please look at our Volunteers page for more information. For general enquiries please contact philippa@phunzira.org. Phunzira has been lucky enough to receive many kind donations from Nower High High School, Portland Place and Blossom House School. If your school has any spare educational resources that it wishes to donate (text books, exercise books, stationary, lab equipment etc.) then please consult our Phunzira Wish List and contact rosa@phunzira.org for further information.